I’m sure some people think the traditional “Christmas letter” is dead in this day and age. But, I have to tell you… I still love getting Christmas cards with those wonderful little treasures tucked in them. The ones that come with a picture or two as well are my favorites! Even though we now have Facebook and other social media that allows us to keep in touch with friends and family from our past all through the year, a Christmas letter still feels like a much more personalized thing. It feels like the writer/sender wants to give you a special peek into their lives that they don’t share with the general public on Facebook. But, writing a holiday letter can be a challenge for some, so I am going to offer some ideas to get you motivated. One of the hardest things about writing a Christmas letter is just getting started in the first place. Set a deadline for yourself and aim for it, to keep yourself on track. I would suggest a good time to write your annual holiday letter would be just after Thanksgiving, with a goal to have it finished by about December 5th. Try to have it in the mail no later than the 15th, to be sure it arrives in time for Christmas. Remember, the post office is swamped this time of year, so sending it later than that could delay its arrival. Like with all writing, every letter should have the three basics: a beginning or introduction, a body (the bulk of your letter), and a conclusion. 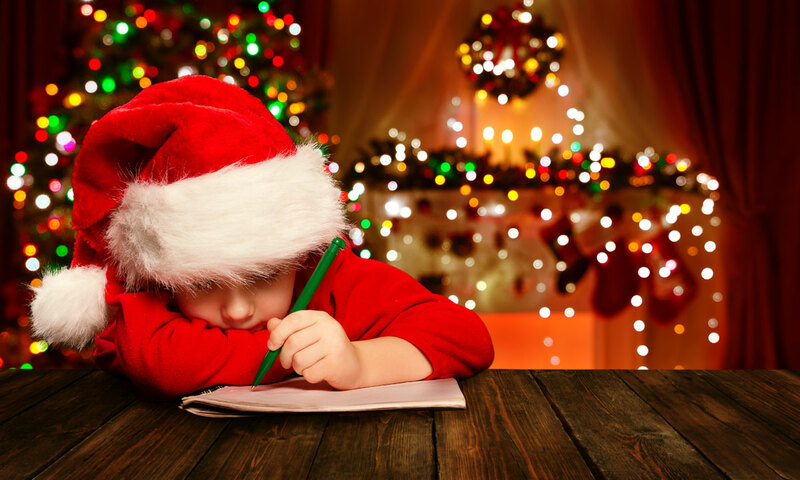 Even with a basic Christmas letter, adhering to these principals will make your letter better. Also writing an outline before you start – remember back in school when you did this? – will help you stay on track when putting the final pen to paper, so to speak. Ideally you want your letter to be just long enough to fill up one sheet with normal size type and margins. Most people, while happy to hear from you, are probably going to stop reading after about a page or a page and a half. Anything longer than the front and back of one sheet is just simply too long! Try to keep your type size at no smaller than 11 point, if possible. As people age it gets harder for them to read smaller type. Ideally you want to try to use a sans serif font, as it is easier to read on paper, with a 12 point type. Remember, some of the people getting your letter are likely to be older and their eyesight make reading small type sizes difficult. Make it simple for everyone and keep your font on the larger side. Try to go with at least a 1/2″ to 1″ margins all the way around, if possible. I remember receiving a letter from an old friend one year and she had tried to get the entire message to fit on one page by reducing the font size to around 10 point and pulling the margins out to about 1/4″ all the way around the page. She also tightened up the space between paragraphs to cram it all in. This made for a terribly difficult reading experience, with a page that was filled with lots and lots of type with no room for my eyes to “breathe” while reading. I would have much rather her have broken the one page rule and made me have to turn the page over to finish reading it. This goes to my previous mention of using “white space” effectively. Nothing can turn someone away from reading it like one 8.5″ x 11″ long paragraph! Be sure to break your letter up by using paragraphs, and maybe even headers to call out different events before you start talking about them. Most people like to “skim” things before reading them, and using headers before sections of paragraphs gives them the opportunity to assess what they are going to be reading, before they start. You can either print photos directly onto your letter, if you have room and your printer can handle it, or use a photo printing service like Snapfish or Shutterfly to have photos printed cheaply and in bulk. Spice your letter up by adding some color to it or by using some Christmas or holiday clip art. Or, if you really want to snazz it up, you can print it on some lovely pre-printed holiday paper. This makes it more inviting to read for your recipients. Finish your letter with a nice note to your reader wishing them a Merry Christmas, Happy Hanukkah or season’s greetings and warmest wishes. Make those final sentences about them, rather than about you. Sign off on the letter in your own handwriting, or have your entire family each sign the bottom of the letter. You might also want to consider writing a short personal note to each recipient, to make your letter have less of a mass-produced feel. It doesn’t have to be long – just short and sweet. Above all, have fun writing it. If you enjoy the process, I can guarantee you will write a better Christmas letter and those who get it will enjoy reading it.